BT announced high-capacity Ethernet connectivity to three leading co-location data centers in the UK: TelecityGroup in Joule House, Manchester,and Equinix (LDN5) in Slough and a further one in Leeds. 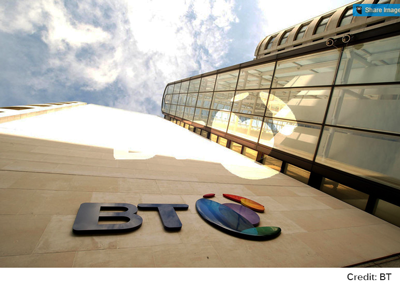 BT Wholesale’s data center PoP rollout began earlier this year and already included Telehouse Europe North and the Global Switch1 data center in London, as well as one of the UK’s largest data centers in Newport, South Wales. The new data center PoPs provide BT’s wholesale customers with Ethernet connections into BT’s core network. BT said the investing in the new Ethernet equipment inside leading data centers enables it to substantially reduce the connection and rental costs for customers, as well as speeding up the time it takes to interconnect with its network. Resilience. BT’s Ethernet backhaul network provides fully resilient fiber routes and automatic traffic switching. Lower costs. Up to 75% cheaper than traditional access using direct network access products. BT also outlined plans to launch further data center PoP locations during 2014 as well as supporting higher bandwidths with 10 Gbps ports available in key locations. In 2015, the company plans to extend its next generation optical network into a number of data center locations supporting national connectivity at 10 Gbps, 40 Gbps and 100 Gbps. TierPoint, which operates 141,000 square feet of raised-floor data center space across 7 U.S. cities, announced its acquisition of Xand, a privately-held provider of colocation, cloud, disaster recovery and managed services with six data centers located in New York, Pennsylvania, Connecticut, and Massachusetts. Xand was owned by ABRY Partners. Financial terms were not disclosed. The combined company will operate 13 highly-redundant, Tier III plus data centers in 10 markets with almost 300,000 square feet of raised floor, serving approximately 3,700 customers. 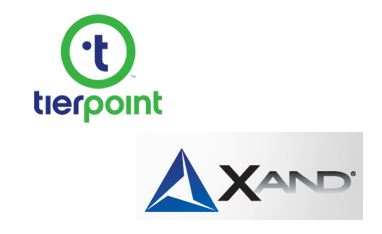 TierPoint and Xand share a common cloud infrastructure supported by Cisco, NetApp, and Fortinet. IBM DataWorks – a set of cloud-based data refinery services that shape, cleanse, match and secure data. The new services enable business users to find, use and contribute data for analysis; application developers to embed data services into new applications; and IT and data professionals to enable self-service data access and instill confidence to act on the data. IBM dashDB – a cloud-based data warehousing and analytics service with in-memory technology built-in to deliver answers faster. A new integration of dashDB with Cloudant, IBM’s NoSQL database as a service (DBaaS), allows Cloudant clients to embed analytics in their applications with a few clicks. 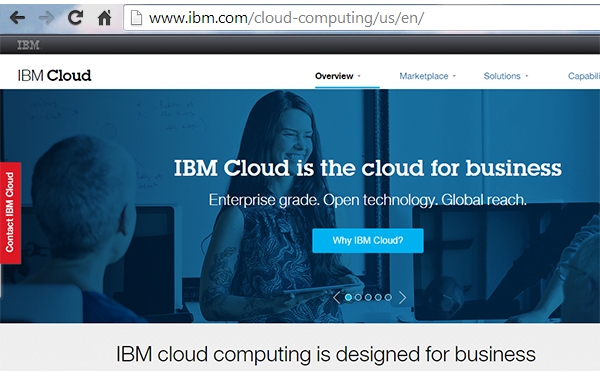 IBM Cloudant local - an on-premise edition of the fully managed cloud database-as-a-service that enables a fluid hybrid cloud data layer that spans private data centers, mobile devices and third-party cloud providers. This ensures customers can easily reconfigure their cloud data platforms over time to optimize the cost, security, reach and performance. Watson Curator, a software-as-a-service (SaaS) offering that increases confidence in the delivery of quality content collections and governance for IBM Watson Solutions. For example, an individual insurance risk analyst can quickly review and add context to documents so that many underwriters across the enterprise can get higher quality responses on risk assessments from Watson Engagement Advisor. IBM Watson Curator actively guides subject matter experts -- in this case the risk expert -- through the entire curation process in order to minimize the time and effort required. This capability improves the relevance and quality of the information used for analytics. IBM also announced that its broad portfolio of analytics capabilities -- including Cognos business intelligence and SPSS predictive analytics platforms – is planned to be available via the IBM Cloud marketplace. SwiftStack, a start-up based in San Francisco, raised $16 million in Series B venture funding to support its vision of software­ defined storage for the cloud. SwiftStack leverages OpenStack's Swift storage project for massive storage scalability in enterprise networks. 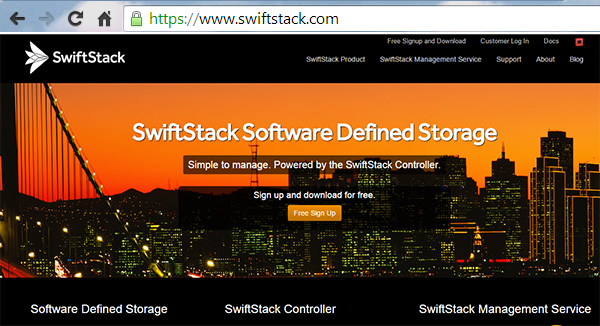 SwiftStack's software-defined storage controller orchestrates all aspects of the storage environment. SwiftStack Node installs on commodity storage hardware and connects back to the SwiftStack Controller. The new Series B round was led with a substantial investment from OpenView Venture Partners as well as existing investors Mayfield Fund, Storm Ventures and UMC Capital. The round brings total investment in the company to $23.6 million. 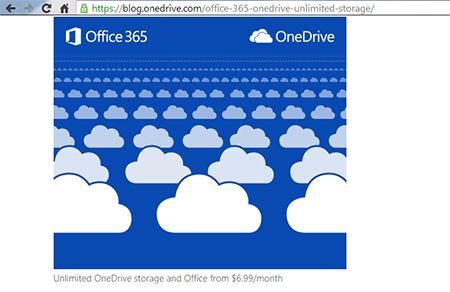 Microsoft will begin offering unlimited OneDrive cloud storage at no additional cost to all Office 365 paid subscribers. The offer is being rolled out incrementally starting with Office 365 Home, Personal, and University customers. In a blog posting, Microsoft's Chris Jones said that while the move to unlimited storage is an important milestone for cloud services, he believes "the true value of cloud storage is only realized when it is tightly integrated with the tools people use to communicate, create, and collaborate, both personally and professionally." 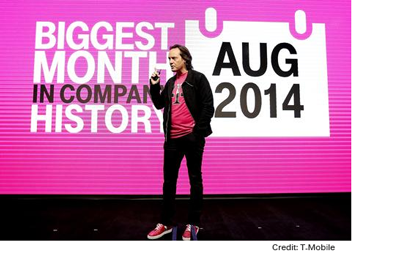 T-Mobile US reported its biggest growth quarter to date -- 2.3 million total net customer additions with 1.8 million total branded net customer additions for the quarter, including branded postpaid net additions of 1.4 million and branded prepaid net additions of 411,000. The strong branded postpaid net addition performance resulted from continued momentum in phone gross additions, which were up 46% year-over-year. In the third quarter of 2014, cash capital expenditures were $1.1 billion, up from $0.9 billion in the second quarter of 2014 and up from $1.0 billion in the third quarter of 2013. 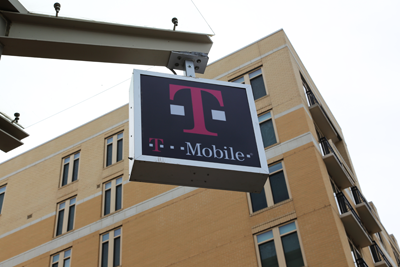 T-Mobile activated its Wideband LTE spectrum throughout the San Francisco Bay Area, bringing up to a 50% increase in speed to customers. The carrier said its customers in the region are now averaging 21 Mbps, with observed peak rates of up to 90 Mbps. Customers are using about 2.5 GB of data per month. T-Mobile has defined Wideband LTE as at least 15+15MHz. The carrier has deployed Wideband LTE in over 17 metro areas already and expects at least 26 total metro areas will be up with Wideband LTE by the end of the year. The carrier is also starting to roll out its new low-band 700 MHz A-Block spectrum. 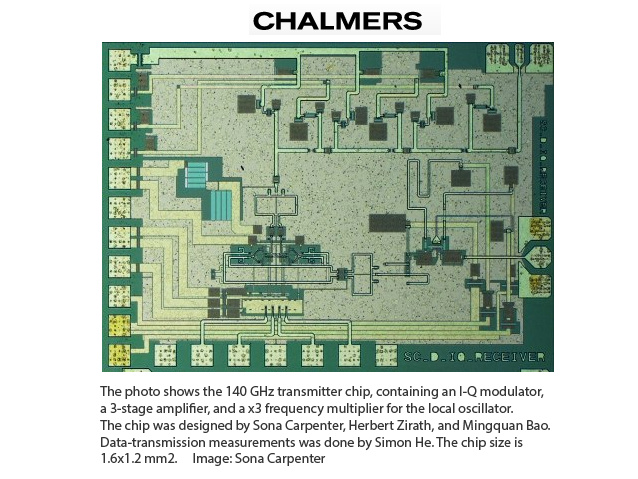 Researchers at Chalmers University of Technology in Sweden have developed a 140 GHz transmitter chip capable of a transmission rate of 40 Gbps. The transmitter device is implemented in indium phosphide and contains an I-Q modulator, a 3-stage amplifier, and a x3 frequency multiplier for the local oscillator. “We have designed circuits for signals at 140 Gigahertz, where we have a large bandwidth. In laboratory testing, we have achieved a transmission rate of 40 Gigabit data per second, which is twice as fast as the previous world record at a comparable frequency,” says Herbert Zirath, who is a professor in high speed electronics at Chalmers. He is also employed by Ericsson Research on a part-time basis. PMC-Sierra reported net revenues in the third quarter of 2014 of $135.5 million, an increase of 7 percent from $126.8 million in the second quarter of 2014 and an increase of 6 percent, compared to $128.4 million in the third quarter of 2013. GAAP net income in the third quarter of 2014 totaled $5.5 million or $0.03 per diluted share, compared to a GAAP net loss in the second quarter of 2014 of $3.5 million or a $0.02 loss per share. 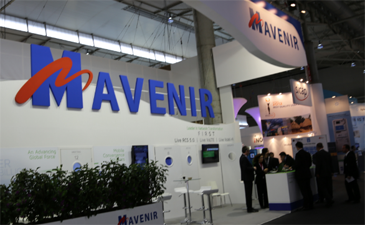 Mavenir Systems reported Q3 revenues of $34.1 million, an increase of 31% year-over-year and 2% quarter-over-quarter. GAAP net loss for the third quarter of 2014 was $5.8 million, compared to $4.5 million in the third quarter of 2013 and $3.9 million for the second quarter of 2014. “Although we saw some launches in the U.S. along with capacity expansions in the U.S. and EMEA, the majority of our worldwide customers continue to be in the network build-out phase as they work towards VoLTE and RCS launches, and we anticipate several more launches planned for late 2014 and/or early 2015,” said Terry Hungle, chief financial officer, Mavenir Systems.